Welcome to American Photography Open 2019, our competition to celebrate the best pictures submitted by world-wide photo enthusiasts taken with any device. 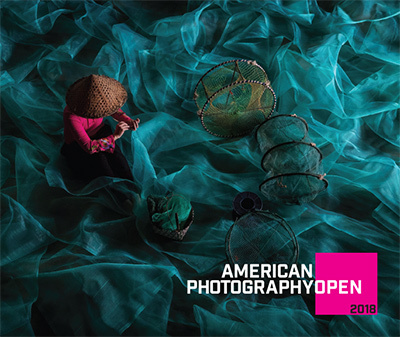 For over 30 years American Photography has been holding a juried competition for pro photographers. Now with the proliferation of so much great photography taken by everyone we are celebrating our second year of offering a new competition for photo enthusiasts at all levels. You can see some of the highlights and winners from 2018 here. Our judges will include members of the Pro Photo Daily staff, Julia Sabot from Blink, Brent Lewis New York Times Photo Editor, Marcel Saba from Redux, Alex Snyder Photo Editor of the Nature Conservancy, Kristina Feliciano Photography Consultant, Frank Meo from The Photo Closer, Scott Bourne Photographer and Pres. Of Skylum, Rick Friedman Tamron Image Master, Andrea Wise Media Consultant & Co-Founder/Creative Director of Diversify Photo and they, along with the community who register, will award prizes for the best images submitted in 2019. A Short List will be announced in September and a Community Voting Gallery will be available for voting. In October ten finalists (5 International and 5 from the U.S.) and the Grand Prize winner will be announced. They will receive prizes including selected products/ services from our partners. See more PRIZE INFO HERE. The Grand Prize winner of $5000, plus a Tamron SP 70-200 F/2.8 Di VC USD G2 (Canon or Nikon mount), value $1299, a SanDisk Extreme Portable SSD, a Skylum suite of software( including Luminar, Aurora HDR and Photolemur, a Fujifilm X-T3 camera and a PhotoShelter 2 year Pro account, will be announced along with the Community Voting Award winner at an event in New York City in October. The entire 2019 short list collection will be featured in a book that will be available to download for free or purchase as a hard copy. For updates on the contest, photo news and creative inspiration you can get our free newsletter Pro Photo Daily. If you don't already receive it SIGN UP HERE. American Photography Open 2018 Short List. Available for free download or for purchase.